Lean Muscle! Improve Recovery! Support Protein Synthesis! Anti-Catabolic! 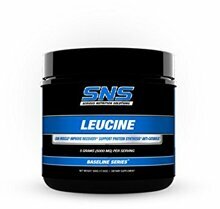 Leucine is a branched chain amino acid that is commonly used by those looking to improve recovery and/or build lean muscle. L-Leucine also supports protein synthesis and exerts anti-catabolic effects, which makes it ideal for individuals looking to increase or retain lean muscle & strength while dieting. Leucine is a staple supplement in the regimens of many weight lifters, bodybuilders, fitness, Cross fit, & endurance athletes. 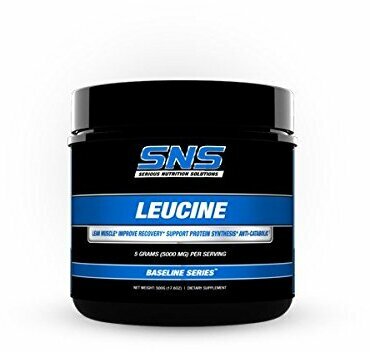 SNS Leucine powder contains 100 servings, which makes it ideal for those trying Leucine for the first time and also for those who use Leucine as a staple in their ongoing supplement regimens.